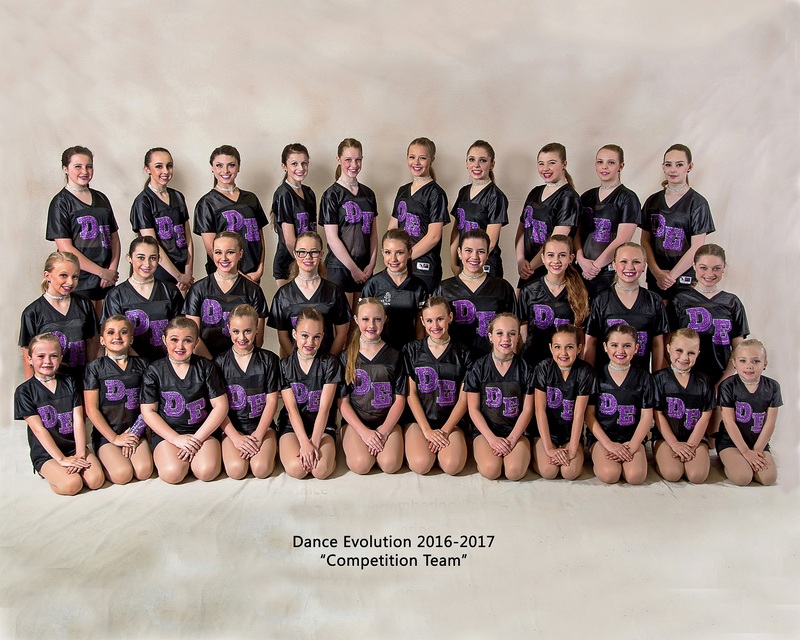 Dance Evolution events - Dance fun! 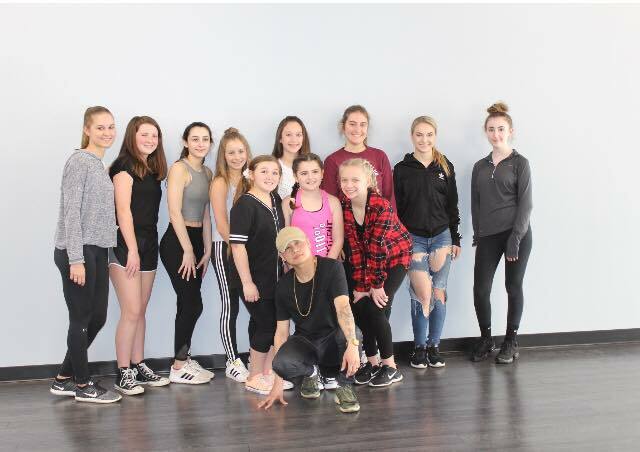 On April 21, 2018 DE hosted Zoey Cruz of So You Think Can Dance fame for a hip-hop workshop. 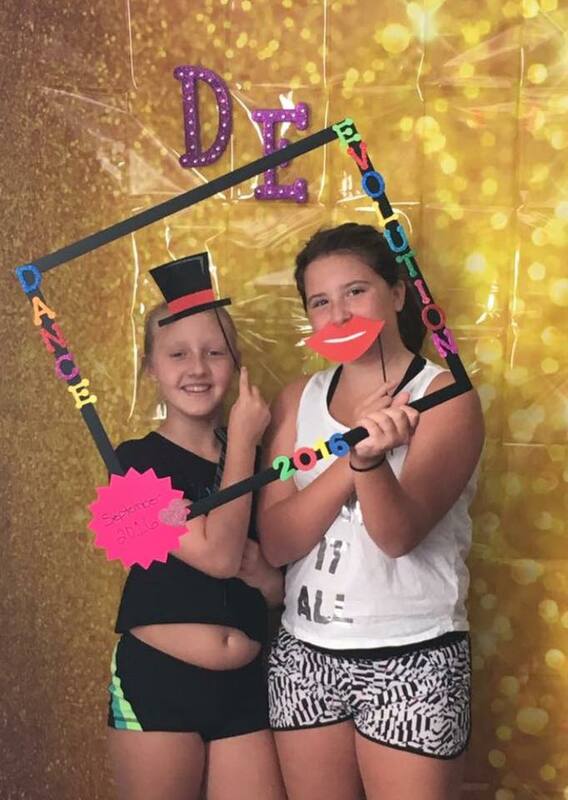 Click HERE for fun pics! 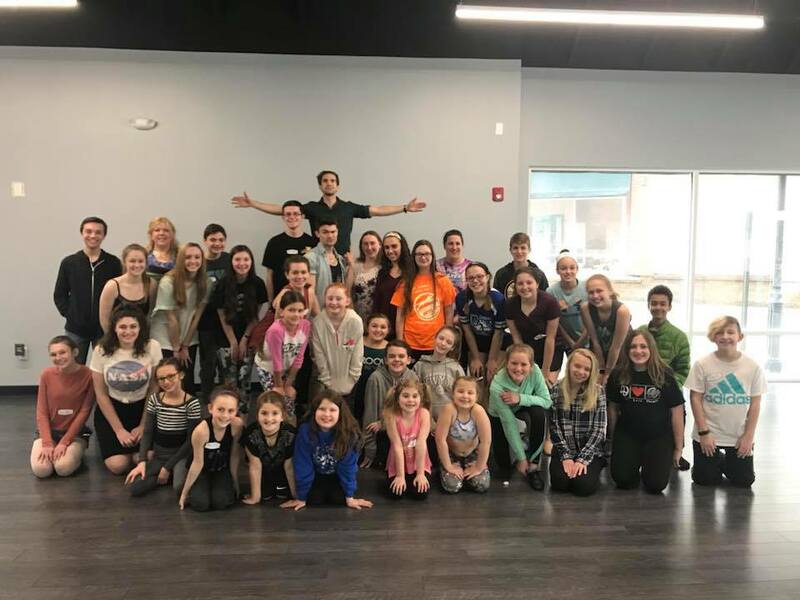 DE was fortunate to have two amazing actors from Broadway's Newsies come and do a dance and vocal workshop while they were in town performing at Proctor's Theater. 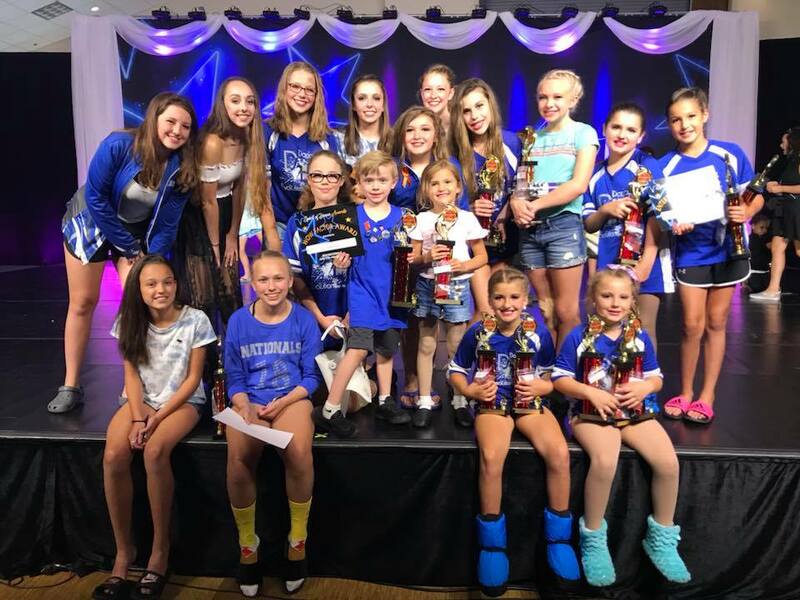 Michael Ryan and Dan DeLuca filled the day with dance from the Broadway musical Newsies and listened to talented vocalists, along with giving them a great and informative talk. It was great to see the energy and excitement. The students loved the workshop. See fun photos from the Newsies workshop at DE HERE. 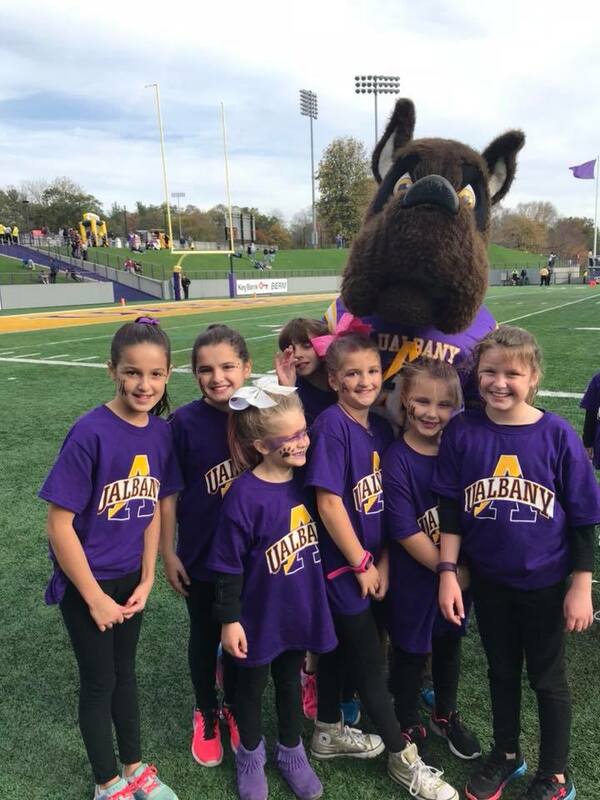 Some of our younger had the opportunity to work with the UA dance team and learn a halftime dance routine - then perform in front of the crowd at a UA football game. So fun! Click HERE to see photos from this great event. 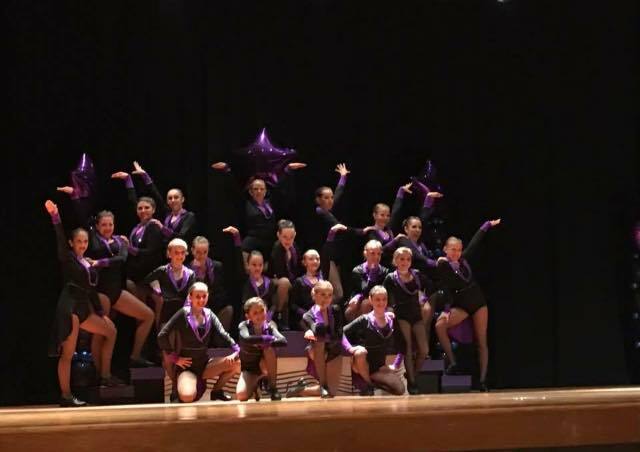 2017 RECITAL "LET'S GO CRAZY"
Our 2017 recital "Let's Go Crazy" was held on June 18, 2017 at Schuylerville High School. 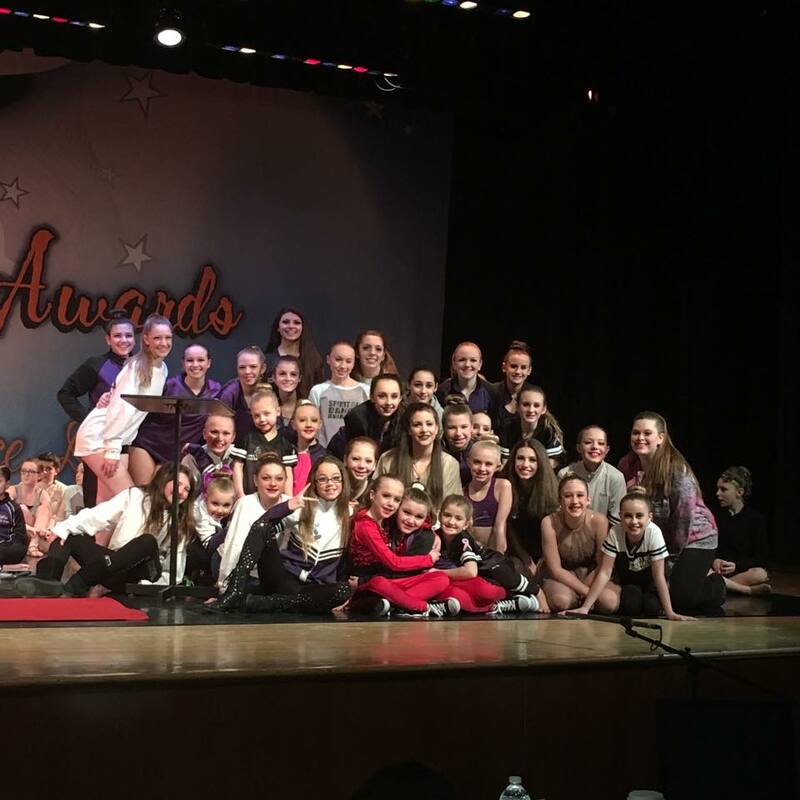 On Saturday, February 4, 2017 the Glens Falls-based Adirondack Thunder once again asked Dance Evolution to perform a routine choreographed by our own Serena Buontempo. 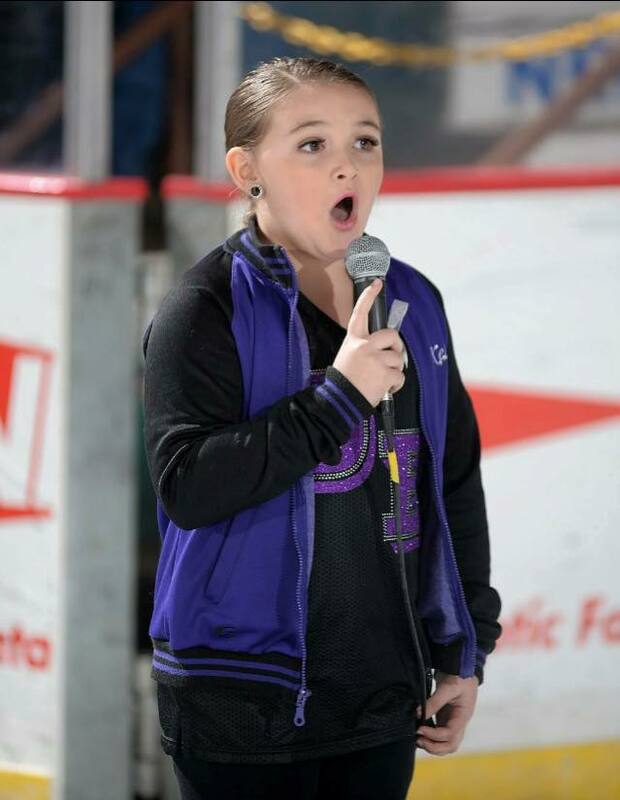 Our own Kelsey Dodd also sang the national anthem! A portion of the evening's 50/50 was donated to the Breast Cancer Foundation. 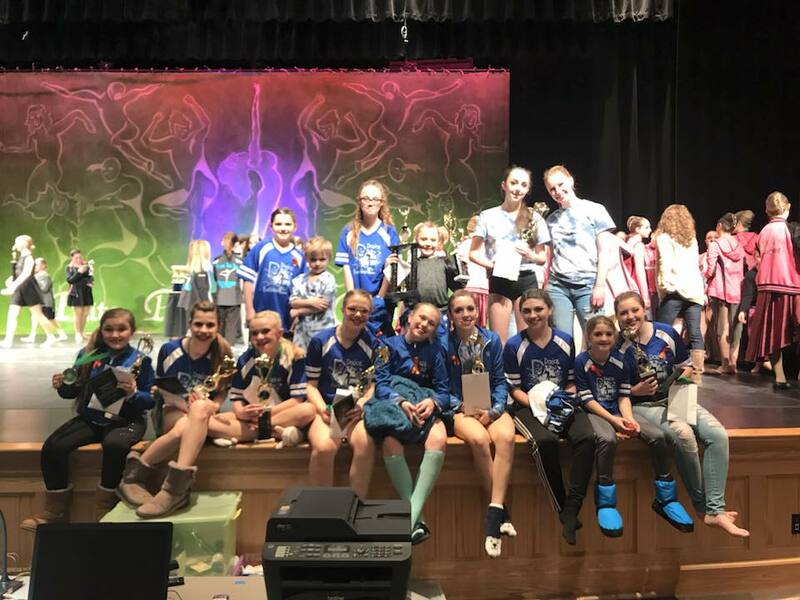 The event is also a fundraiser for the DE competition team. Click HERE for some great photos! We had a great time marching in the Ballston Spa holiday parade on December 2, 2016! 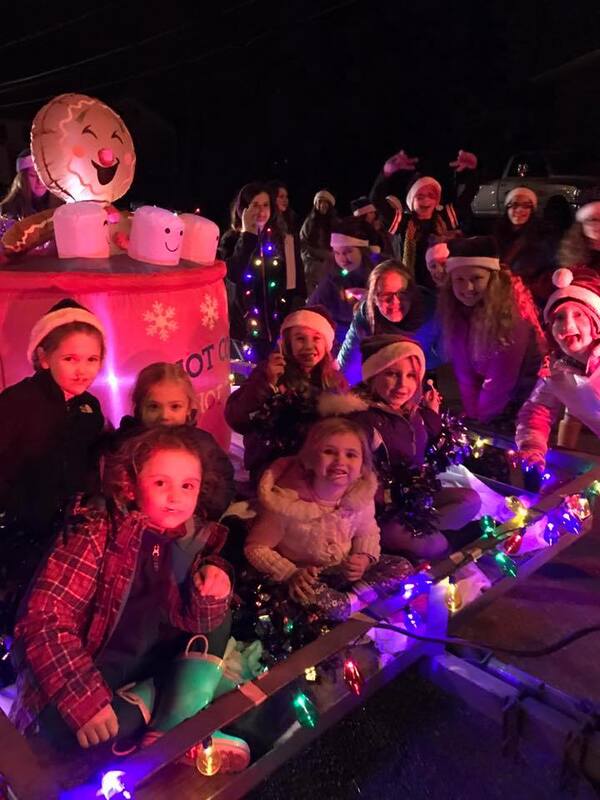 This hometown parade brings out many people to share in the kickoff to the holiday season. Our dancers had a blast as they sang songs and handed out candy canes and lollipops to watching children. It's always a great community event ending with Santa lighting the village tree! Click here for more fun photos. 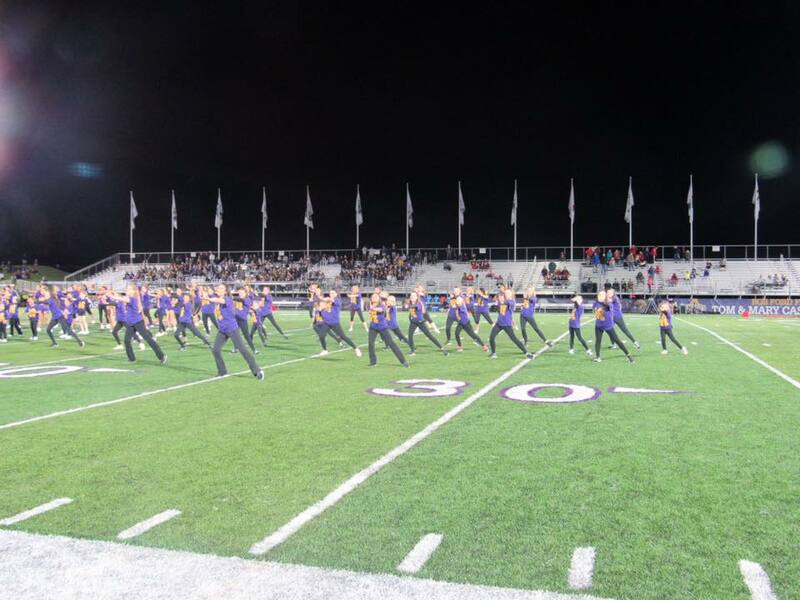 On Saturday, September 24, 2016 some of the DE competition team had the opportunity to dance and perform a pom routine with the U. Albany dance team at halftime. Just as exciting, the Great Danes went on to win 20-9! See lots of fun photos here. This week our 2016-17 season began. It was wonderful to welcome back our students--and make some new friends, too! Click here to see fun photos! 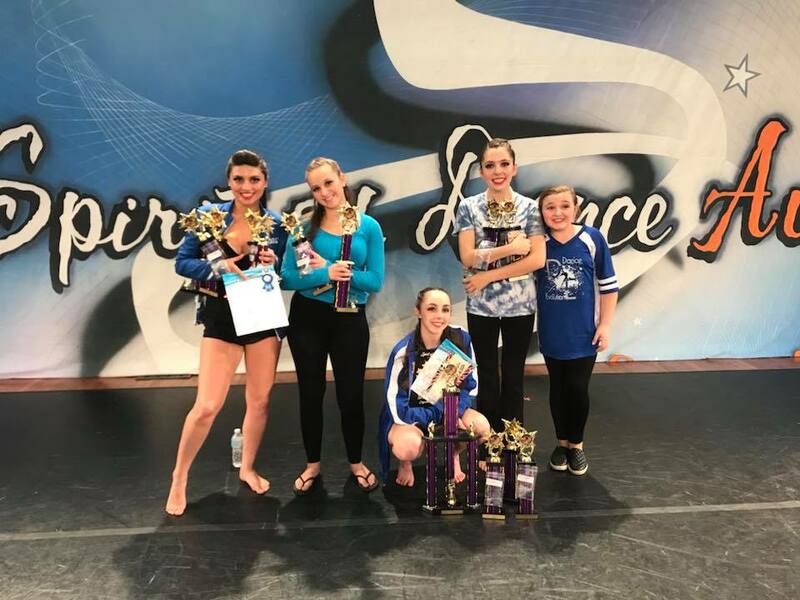 Another fantastic recital is in the books! 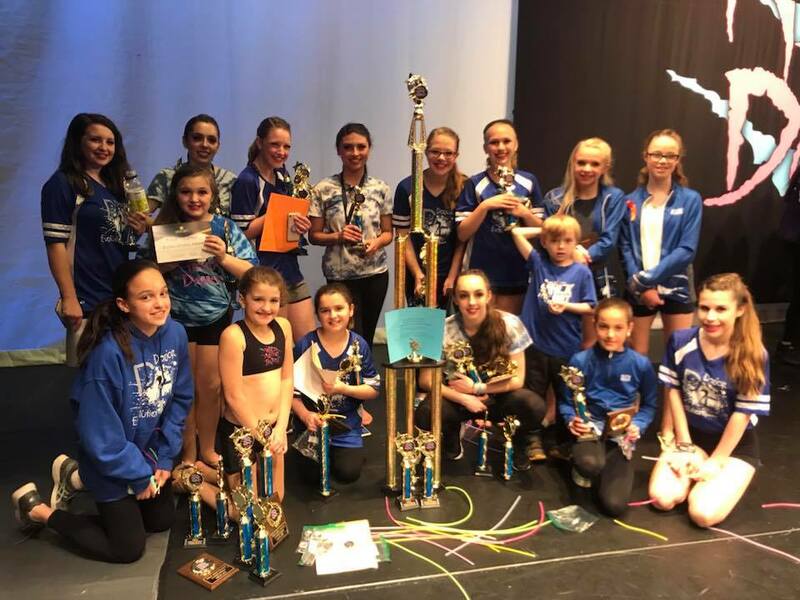 Ballroom Blitz was held on Saturday, June 11, 2016 at Schuylerville High School. 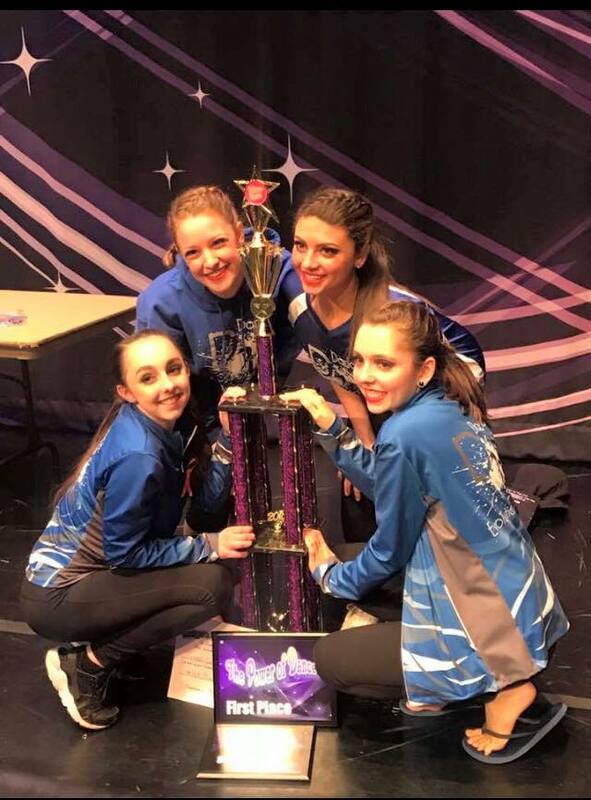 We appreciate all the wonderful comments from friends and family..."just like a Broadway show"..."such amazing dancers"..."I was entertained the entire time". 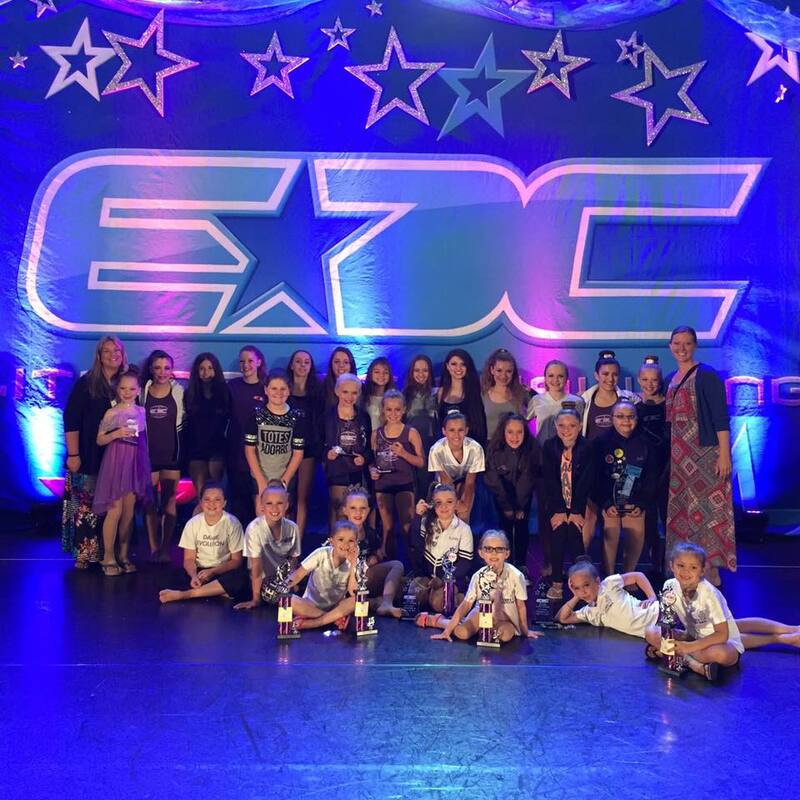 Our dancers worked hard all year and shined on stage. Their smiles were truly the star of the show! Click here for fun photos. 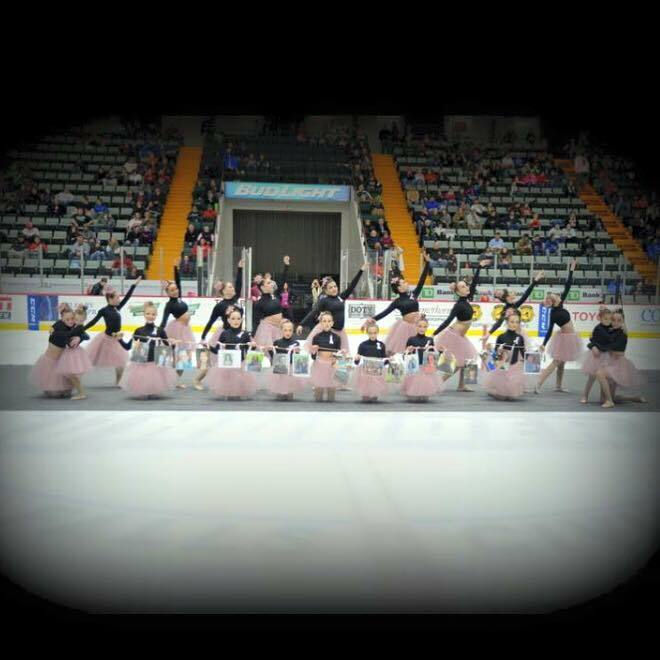 On Saturday, January 16, 2016 Dance Evolution performed at the Adirondack Thunder's "Pink in the Rink" night to benefit breast cancer research. 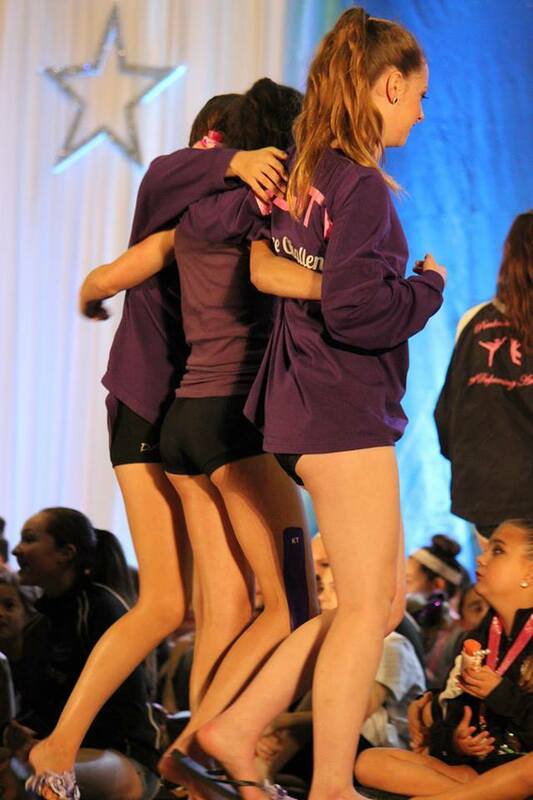 DE's team performed an upbeat cheer/jazz routine and, later, a beautiful lyrical routine called "Dressed in Pink".